DGS is actively involved in bringing our gymnastics program into schools, and schools into our gymnastics club! Whether you’re looking for an exciting option for your PE program, physical literacy lessons for your staff and students, or a fun, sports day station – we’ve got it! We don’t just teach gymnastics. We teach physical literacy. The building that houses DGS is called the Delta Sports Development Centre for a reason. Our mandate isn’t just to teach gymnastics, it’s to teach physical literacy to people of any age – especially children. A physically literate child can perform fundamental movement skills like climbing, running and jumping. They have fundamental sports skills like throwing, catching and kicking. These skills give them the confidence and competence to enjoy a range of sports and physical activities. They don’t just know how to move, they want to move. Whether that means they participate in organized sports, outdoor recreation, artistic pursuits such as dance, or just enjoy the playground, children who associate physical skills with success and fun early in life, are more likely to be active teens and adults. Why is gymnastics the best teaching tool? Gymnastics is the best all-round sport for developing the ABCs of athleticism: agility, balance, coordination and speed. No other sport offers as much overall training in strength, power, flexibility, spatial awareness and focus. On top of that, it’s fun! When students get a chance to explore gymnastics, they get to use their bodies in new ways, on equipment they don’t usually use. It adds variety to their PE program, and shows them another way to stay fit. Who is this program for? Schools and teachers who want more options for their physical education program, and/or who want to learn more about physical literacy and how to teach it. Students visit our gym, where coaches teach them fun warm-up games, flexibility exercises, and fundamental skills on a wide range of equipment. The trampolines and foam pit are always the highlight of every visit! Cost: $6.00 per student OR $90 flat rate for below minimum group. Children and teachers learn warm-up games, flexibility and overall conditioning exercises while having fun! They progress from basic gymnastics skills for everyday use, such as safe landings, to more advanced skills. At the end, teachers will have a simple set of tools they can use to teach fundamental movement skills using gymnastics. We recommend the sessions be five 30 minute long classes (9am-noon) or four 30 minute long classes (1pm-3pm). Although we recommend 4 lessons per class we are happy to adapt this program for your school. We’ll set up a staffed gymnastics station at your school on your Sports Day. Kids love to bounce across our giant air track and land on the mats! A minimum area of 40 x 15 feet is required for set up. Access to power is required. Teaching physical literacy and quality fundamental movement skills through play is essential for developing confidence and competence in a child’s physical abilities. 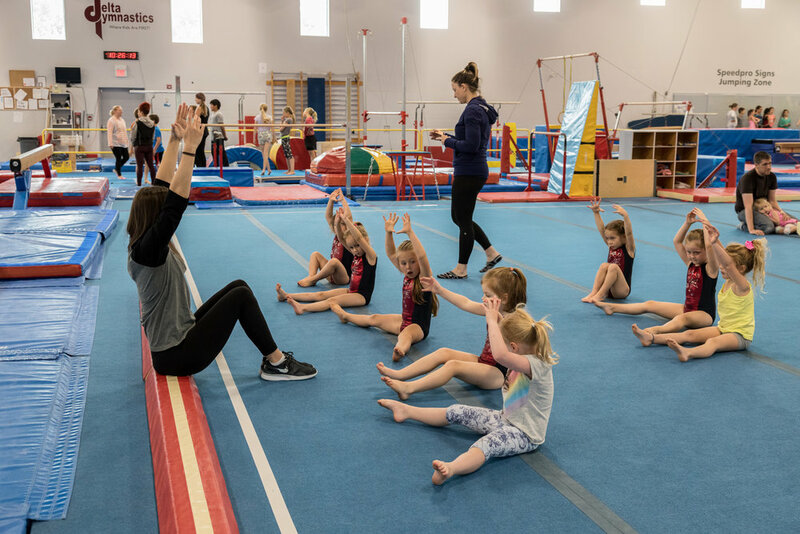 Similarly, Gymnastics is considered to be one of the best activities for development of agility, balance, coordination, strength, and flexibility. Details: The Afterschool program offered in late spring can consist of a 10 minute active warm up game, a 40 minute gymnastics session in the school gymnasium modelling Delta Gymnastics’ current Kids Can Move program, a 10 minute snack break, and a 40 minute games and fundamental movement skills portion either outside or undercover depending on the weather. We suggest the program run one day a week for 4 – 5 weeks. A 5-session program — at your school! Learn new games to play at home! Physical literacy is the ability for a child to move about their environment with confidence and competence. Simply speaking, when a child has developed a wide range of physical skills it gives them the basic building blocks to confidently participate in a diverse range of physical activities and sports. As a result, children are more likely to participate in physical activity throughout their lifetime either in competitive sports or recreational and leisure activities (Coaching Association of Canada, 2011). Let our very own Carlene Lewall come and bring awareness to your staff and or parents so your children all grow to be active healthy adults. 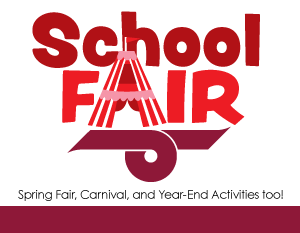 Details: Please contact our School Program coordinator for more information. To learn more: Please contact our School Program Coordinator to inquire about our availability, and to find out how we can custom-tailor a program for you.